We put together some information about Selling Medical Marijuana. There is many rules, regulations and laws regarding the use and sale of any type of Medical Marijuana. Below if a list of states that it it is currently legal to sell and use Medical Marijuana. The Arizona Department of Health Services will accept Dispensary Registration Certificate applications in late 2015. There will be more information forthcoming regarding which, and the number of, CHAAs that will be available. Please note starting April 18th, 2014, New fingerprinting procedures and forms will be Required. This will include the Dispensary Member/Agent Attestation Form, Fingerprint Verification Form and specific procedures found in the Fingerprint Instructions. ADHS contracts with the Center for Toxicology and Pharmacology Education and Research (CTPER) which includes the Arizona Poison and Drug Information Center at the University of Arizona College of Pharmacy in Tucson and the Banner Good Samaritan Poison and Drug Information Center in Phoenix to provide information to patients and dispensaries. Please visit their website at for some important information about how to use medical marijuana safely. Complaints may be filed about an operating nonprofit medical marijuana dispensary by anyone with knowledge or concerns about a suspected violation of the Arizona Medical Marijuana Act or Rules governing the operations of a licensed dispensary. To file a complaint, go to the link below, complete the complaint form and submit. The information will be sent to the Arizona Medical Marijuana Program. Please note that as per A.A.C. R9-17-309(C), complaints may not be filed anonymously. Statement of Understanding When the Marijuana Enforcement Division (MED) accepts an application for a MED Business License, each applicant owner must read, initial and sign a "MED Statement of Understanding." This document serves as an agreement between the individual and MED that, upon receipt of a MED Marijuana Facility Business License, the individual will comply with all applicable Colorado statute and regulations themselves and in regard to the each marijuana facility for which they are licensed. Click HERE to view a copy of the MED Statement of Understanding. Dispensaries centers may dispense medical marijuana to qualified patients in any form deemed safe which allows patients to eat, inhale, or otherwise use medical marijuana for medical purposes. Medical marijuana shall be subject to testing for quality assurance and safety purposes. Get more information on dispensaries and approval process to operate at the link below. The Division of Licensing and Regulatory Services (DLRS) in the Department of Health and Human Services announced the selection of the last two dispensaries needed to complete the statewide dispensary system. The dispensary system has been established to assist registered patients whose physicians believe they will benefit from the medical use of marijuana for certain serious medical conditions. The dispensaries were chosen based on criteria outlined in the application instructions, including their plan to operate as a non-profit corporation long-term, convenience of location, prior business experience, patient education, record-keeping, inventory, and quality control. Cathy Cobb, Director of DLRS, will be meeting with each dispensary chief executive to review their progress and discuss the next steps. She anticipates it will take between two and three months for a dispensary to be open to patients. The Massachusetts Department of Public Health required all completed Phase 2 application forms for Registered Marijuana Dispensaries to be hand-delivered on November 21, 2013. A total of 100 Phase 2 applications were received by the Department on that day. Only applicants who were approved in the Department?s Phase 1 review were eligible to apply for the Phase 2 of dispensary selection.. The selection committee of RMD Application Committee Roster docx format of RMD Application Committee Roster evaluated Phase 2 applications based on such factors as appropriateness of the site, geographical distribution of dispensaries, local support, and the applicant?s ability to meet the overall health needs of registered patients while ensuring public safety. Phase 2 applicants were asked to demonstrate local support during the Department?s review process, and show that they can comply with all municipal rules, regulations, ordinances and bylaws. The Department is also developing a database to track patient and physician registrations, which will be available to law enforcement. The voter-approved law allows the Department to register up to 35 non-profit Registered Marijuana Dispensaries across the state, with at least one but no more than five dispensaries per county. The Minnesota Department of Health (MDH) Office of Medical Cannabis published the formal Manufacturer Request for Application (RFA) on September 5, 2014. The RFA is the state?s formal solicitation of applications from parties interested in becoming one of the two registered medical cannabis manufacturers responsible for growing, processing and distributing medical cannabis to Minnesotans with qualifying conditions. The RFA provides details on the application requirements and process. Responses to all questions will be posted on the website at Minnesota Medical Cannabis Manufacturer Selection Questions and Answers. People often talk about medical marijuana being "prescribed" and "dispensed." However, those terms are not contained in the law itself. the potential benefits of the medical use of marijuana are likely to outweigh the health risks of using the marijuana. Likewise, marijuana is not "dispensed." However, individuals who are designated as "caregivers" may grow marijuana and provide it to patients who have specifically chosen the person to act as their caregiver. The role of the caregiver varies. Some provide medical marijuana to only one patient, while others have created businesses and supply medical marijuana to a relatively large number of patients. If you have not already done so, we recommend that you sign up with the Medical Marijuana LISTSERV page. You can contact the Division through the MM LISTSERV email. Licensed Non-Profit Producers (LNPP) serve the Qualified Patients of New Mexico. The objective is to ensure the safe production, distribution and dispensing of medical cannabis to QP?s. The Department of Health is monitoring the availability of medical cannabis and will notify the public when the need for additional Non-Profit Producers is identified. At that time the application process will be presented. For additional information please review the Licensing Requirements section of the NMAC. The Medical Marijuana Program will make medical marijuana accessible to patients with conditions including cancer, HIV/AIDS, Lou Gehrig's disease (ALS), Parkinson's disease, multiple sclerosis, damage to the nervous tissue of the spinal cord with objective neurological indication of intractable spasticity, epilepsy, inflammatory bowel disease, neuropathies and Huntington's disease. The law includes these conditions when there is a clinical association with or complication of the condition resulting in cachexia or wasting syndrome, severe or chronic pain, severe nausea, seizures; or severe or persistent muscle spasms. Acting State Health Commissioner Dr. Howard Zucker is also exploring mechanisms that may accelerate access to medical marijuana for children suffering from epilepsy. The Health Commissioner may expand the list of eligible conditions for which medical marijuana certifications may be issued by practitioners. Under the program, practitioners will be required to complete a training course and register with DOH to issue certifications to their patients for medical marijuana. Practitioners must certify that their patients have a serious condition and the patients are likely to receive therapeutic or palliative benefits from the use of medical marijuana for the serious condition in order to issue the certification. This process will ensure that medical marijuana is available only to patients with serious conditions who will benefit from the treatment. DOH will issue certified patients a Registry Identification Card. Certified patients must apply to DOH for a registry identification card. Certified patients may designate a caregiver, who must also apply to DOH for a registry identification card. The card will contain the practitioner's dosing recommendations for the patient. DOH will be able to suspend or revoke the card of a patient who willfully violates any provision of the law. Organizations that wish to manufacture and dispense medical marijuana must apply to DOH for registration as a registered organization and, if approved, conform to specific requirements. Registration will be valid for two years at a time, will be renewable, and will be subject to revocation. Registered organizations will be required to comply with strict security and record-keeping requirements. The law allows for up to five registered organizations, located in New York State, to grow, manufacture, distribute and dispense marijuana for medical use. Each registered organization may operate up to four dispensing facilities statewide, for up to an initial total of 20 geographically-dispersed dispensing facilities. Only medical marijuana dosage forms approved by DOH will be permissible for use. Registered organizations must contract with an independent laboratory located in New York State to test the medical marijuana products. Registered organizations will be able to dispense up to a 30-day supply of medical marijuana to certified patients with a valid registry identification card. Patients may only possess up to a 30-day supply of medical marijuana. The medical marijuana will be dispensed in a sealed and properly labeled package, with a safety insert included. Patients must keep the medical marijuana in the original packaging in which it was dispensed. The proposed regulations for the State's medical marijuana program can be accessed from the link below. Once the proposed regulations are adopted, DOH will then be able to accept applications from potential patients, practitioners, or manufacturers. Please continue to monitor the Department's web page for updates. Sign In -- If you have already created a user name and password, you will use this option to renew your application, upload applicable documents, or make changes to your mailing address, email, phone number, etc. ***If you are the PRF for an existing dispensary, but your dispensary registration has expired, you must follow the new application process and acquire a new MMD#, which will be processed in the order received. This could result in your application being denied if another application within 1000 feet of your location is submitted before yours.***? Person Responsible for the Facility (PRF) - This means an individual who owns, operates, or otherwise has legal responsibility for a facility and who meets the qualifications established in these rules and has been approved by the Authority. Check your facility address with the Oregon School Locator. Make sure your facility is more than 1,000 feet from a primary or secondary school. You must have a facility address in order to apply to operate a dispensary. This is a tool and does not guarantee that your application will meet the 1000 foot buffer zone. A final determination will be made by the MMD staff only after an application has been submitted. Keep in mind that, while this tool displays many approved dispensaries, there are others that chose to remain confidential, and cannot be made public on our site. 1.Complete your online application. Success will automatically generate an e-mail which you should keep. If you do not receive an email, be sure to check to see if it was filtered into your spam or junk mail folder. 2.Write down the unique MMD number which is provided upon submission and which you will find in the email confirmation sent to you. You'll use this MMD# on all your forms and correspondence with the Oregon Medical Marijuana Dispensary Program. 3.Pay the $4000 application fee. Your payment must be received before we can process your application. If your payment is not successfully processed, you will need to start over with a new application or follow the instructions in the email that is sent to you. 4.Complete your account verification. During the application process, you will create a user name and password. You will receive a separate email asking you to verify your new account. Until you complete this step, you will not be able to log in to your application after submission. 5.Provide the following documents to the program after your payment has been successfully received. All documents must be uploaded or postmarked within five (5) calendar days of your payment. Please be sure to include your MMD# on every item mailed to the MMD program. Program staff will use this number to match your items to your application form. Items submitted without a MMD# will not be matched to an application. Your application will be reviewed according to the rules governing the registration of medical marijuana dispensaries. If your application meets the initial criteria, you will have 60 calendar days to reach full compliance with Dispensary Program requirements as outlined in OAR 333-008-1040(5). Once your dispensary is fully compliant, you must submit a Readiness Form to attest that you are ready for an assessment performed by the Dispensary Program. Failure to submit the Readiness Form within the timeframe will result in the application being returned as incomplete. Upon receipt of the Readiness Form, the Dispensary Program will perform a site visit within 30 calendar days to determine compliance. If the facility is in compliance, you will receive notification that your dispensary is approved. A registration certificate, which must be displayed within the dispensary before you can begin to operate, will be given when the facility is ready to open. Consider the application to be incomplete. If your application is not approved, $3,500 of your credit card payment will be refunded to the card and you will receive a letter explaining the reason(s) why your application was not approved. The Pennsylvania Department of Health is in the process of implementing the state?s Medical Marijuana Program, signed into law on April 17, 2016. Full implementation of the program is expected to take between 18 and 24 months. When fully implemented, the Medical Marijuana Program will provide access to medical marijuana for patients with a serious medical condition through a safe and effective method of delivery that balances patient need for access to the latest treatments with patient care and safety. The Medical Marijuana Program will also promote high quality research into the effectiveness and efficacy of medical marijuana in treating a patient?s serious medical condition. Dispensaries registered with the Department are non-profit entities that may acquire, possess, cultivate, manufacture, transfer, transport, supply, sell, or dispense marijuana, marijuana-infused products, and marijuana-related supplies to registered patients and their caregivers who have designated that dispensary. A registered patient may obtain marijuana only from their designated dispensary. A registered patient and his or her caregiver may not cultivate marijuana for symptom relief if the registered patient designates a dispensary. The Department has issued four dispensary registration certificates. In accordance with 18 V.S.A. Chapter 86, no more than four dispensaries shall hold valid registration certificates at one time. The Department will publish an announcement when opening the application period for dispensary registration certificates, including the application requirements and deadline for acceptance of applications. NCWM reports that business owners shopping for commercial scales on the internet are increasingly at risk of being duped by false claims of NTEP certification for scales and scale components, a requirement for most states. Accusations by scale dealers of counterfeit imports are also on the rise. Internet shoppers should be leery of low-priced scales advertised on sites such as eBay or Amazon as ?legal for trade,? 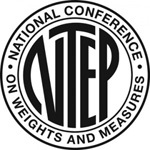 or NTEP Certified according to the National Conference on Weights and Measures (NCWM). NCWM has seen a drastic increase in false or deceptive advertising of scales and scale components as ?legal for trade? or ?NTEP Certified.? Lately, accusations have even pointed toward counterfeit devices; cheap and inferior copies of the real thing. NTEP is the National Type Evaluation Program administered by NCWM. Most states require NTEP certification for scales used for buying and selling commodities. The certification demonstrates that the scale is designed to meet national standards of design, performance, and durability before it is introduced into the marketplace. ?The complaints have definitely increased, especially with regard to internet advertising,? said Don Onwiler, NCWM Executive Director. It used to be simple misplacement of the NTEP logo, but now Onwiler says the complaints are turning toward counterfeit devices that are being imported to the U.S. and sold on the internet. ?These are cheap imitations of the real thing, sort of like buying a fake Rolex for $20 on a street corner,? said Onwiler. The fake versions would not stand up to design, accuracy and durability standards for commercial use. Underwriters Laboratories reports that counterfeit imports are a very real concern. UL established an anticounterfeiting operations department over 20 years ago, but they are seeing an expansion from low priced, low tech consumer products. Robert Crane, US Customs Program Manager for UL said, ?Over the past several years we are now seeing more and more examples of higher expense, greater complexity and a myriad of product types being counterfeited, such as products in the audio/video categories and even medical and dental devices.? Crane added that when it comes to electrical products, 97% of the counterfeit items are coming from China.